Today, in 1935, went down in history as “Black Sunday”. 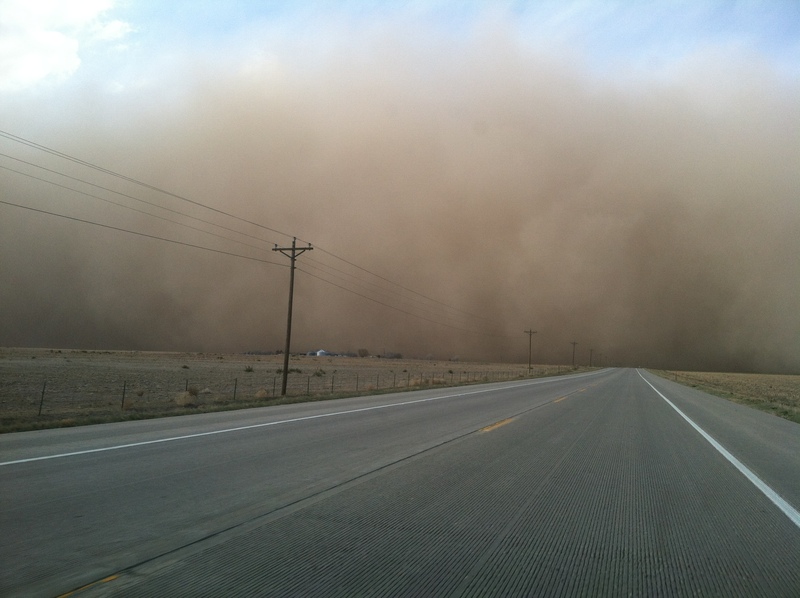 A dust storm that people later described as a black blizzard swept over the Oklahoma Panhandle area in the afternoon and made it to Amarillo, Texas that same evening. That the dust bowl years coincided with the Great Depression made the entire decade one of extreme hardship for a large population (estimates of upwards of 2.5 million people) of the United States. People who left the region later gained the name, ‘exodusters’. 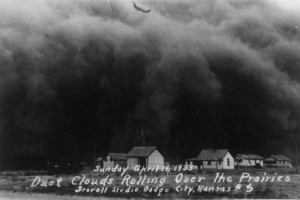 Ken Burns made a PBS documentary in 2012 about the Black Sunday storm, and author Timothy Eagan compiled a book of memories from people living in the dust bowl region. His book, The Worst Hard Time, is well worth reading. 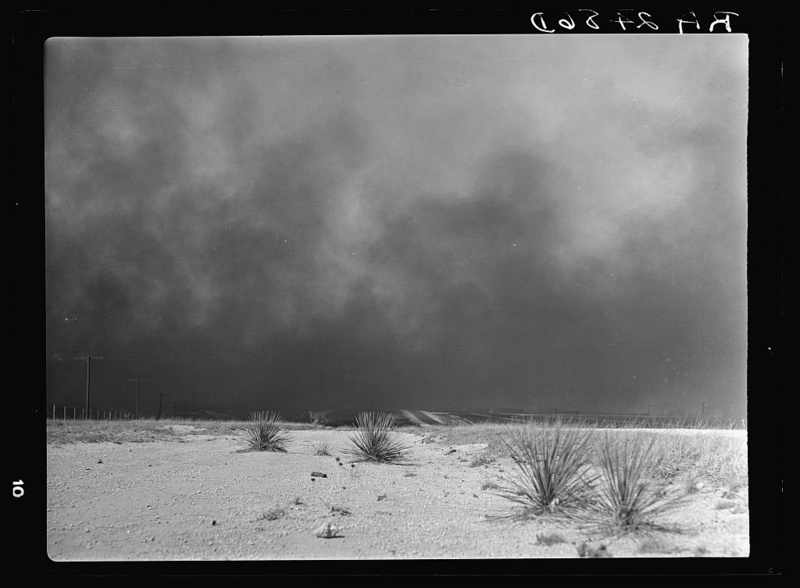 The dust bowl years were roughly 1931 through 1939, with the worst of the drought between 1934-1937. 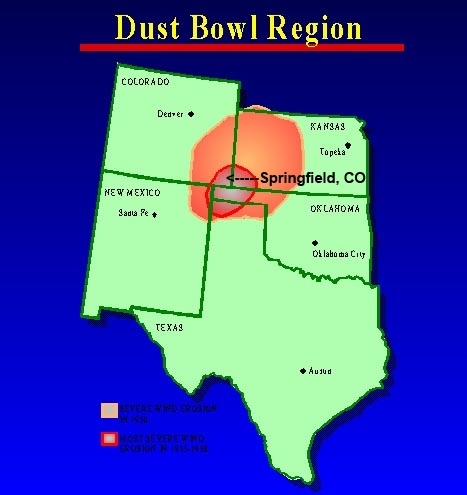 The map shows the general area of the United States that was affected the most and labeled the ‘dust bowl’ region. I added the black arrow/line to the map to show where I live, which is right smack dab in the bowl itself. 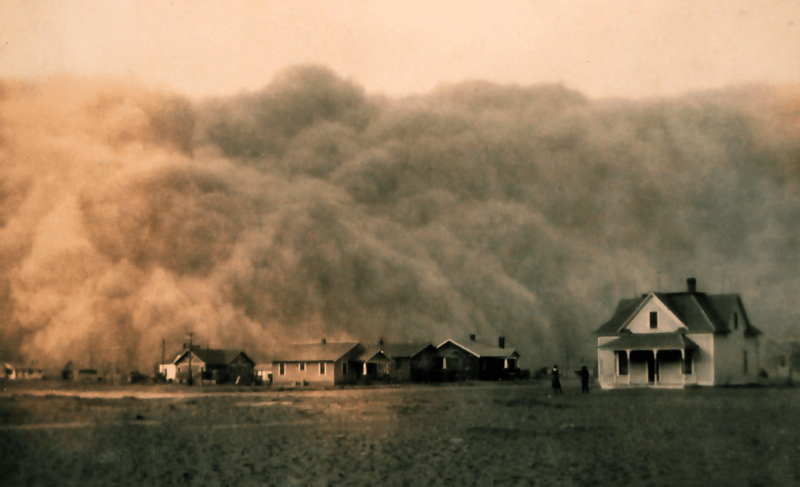 For people who lived through the “Dirty ‘30s”, dust and dirt became a nearly permanent yellow-brown haze in the atmosphere or it was a series of rolling walls of black dirt depending upon your location. People breathed dust and dirt. It sifted through walls. It found its way into the ice boxes (pre-refrigerators). It settled in bedding. It garnished your meal. People walked in it. Livestock died from dust pneumonia. Children wore dust masks when playing outside and when they walked to and from school. Even when you were inside your house, when the dirt blew, you wore a wet bandana tied over your mouth and nose to keep from choking on the dust. Crops blew away, and farmers were helpless to do anything to intervene. Women hung set sheets and blankets over windows and doorways in futile attempts to stop the dirt and dust from coming into the house. In some areas, dirt that was fine as sifted powdered sugar would pile in drifts just as snow drifts. These images are the iconic representations of the black blizzards. The third one is in Liberal, Kansas on April 14, Black Sunday. There have been a few more dust storms over the past year in southeastern Colorado—in fact the most recent was two weeks ago—and we’ve been in a drought cycle for quite a few years. 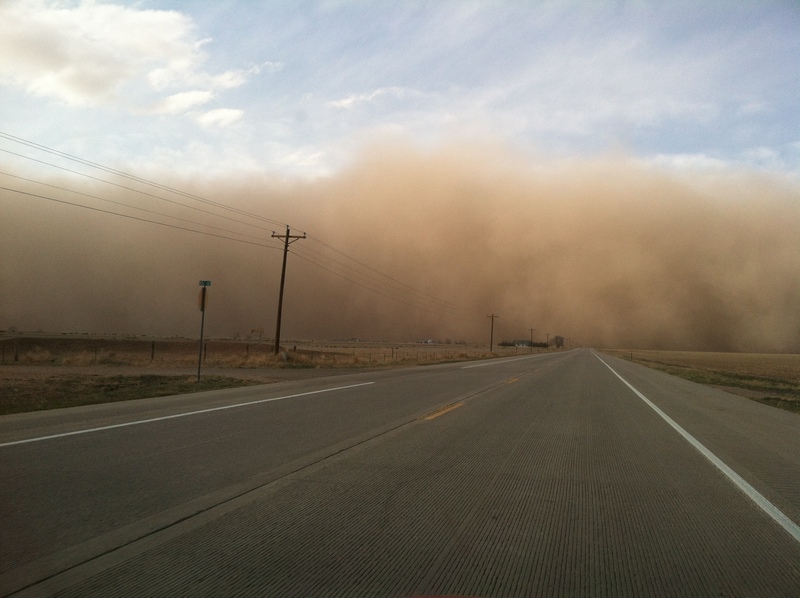 Here are pictures I took on April 22, 2013 three miles north of Campo, Colorado on US Highway 287. They say history repeats itself, and that makes me shudder.